If you can’t join us in the Chat room on TenacityRadio.com, we want you to be able to see what we’re talking about. 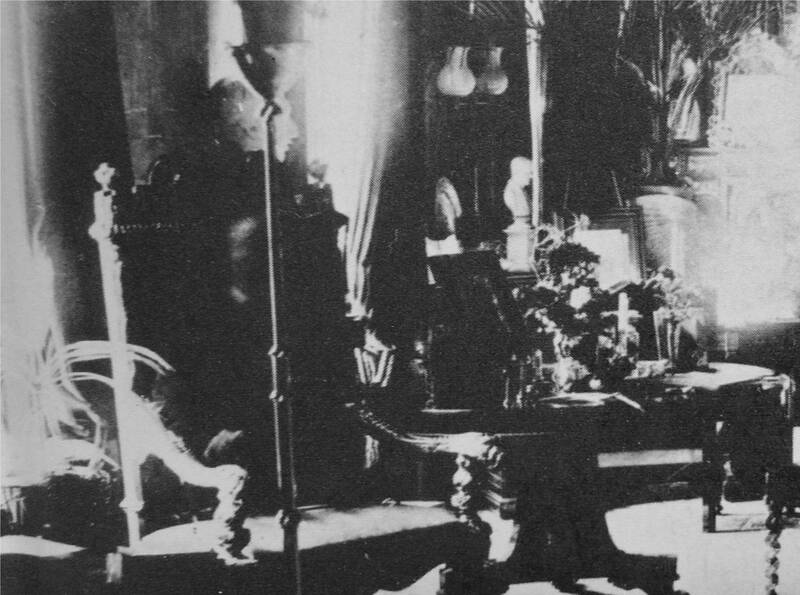 Here are the 10 Ghost Pictures that are reportedly not proven as fake. 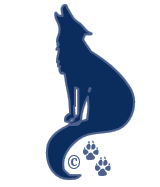 You can click on any of these to see a larger version of the image. 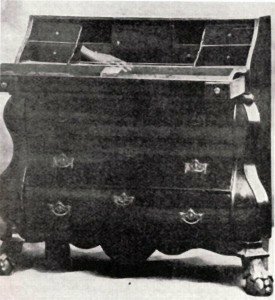 This photo is rather neat in that it does not show a ghost, but merely a transparent hand on top of a bureau. The photo was taken by one Montague Cooper roughly a century ago. He claimed to have no knowledge of how the hand got there. Soldiers are popular subjects of ghost photographs, particularly Civil War soldiers. 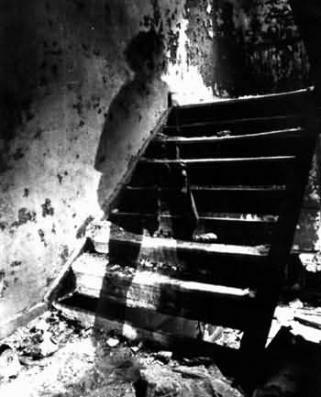 Such is the case with this photo of what appears to be the ghost of a soldier walking up a set of stairs. The picture dates back to the Civil War. 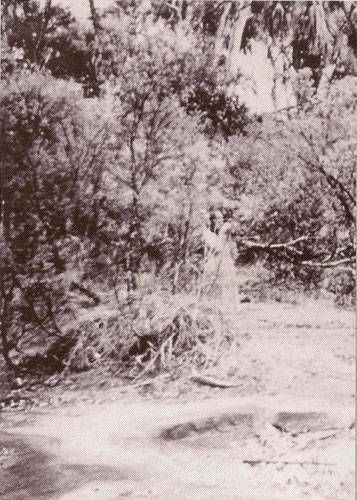 Corroboree Rock is the location of this Australian ghost photo. The subject appears to be a woman holding binoculars. She is looking to the right of the photograph and appears as if she could simply be watching the wildlife. This photo almost feels too vivid to be real, but has not been proven fake, so retains its creepy factor. 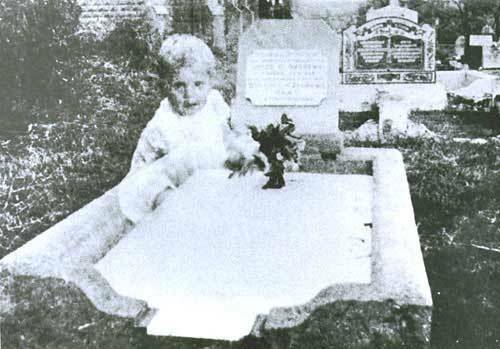 This one is also from Australia and was taken by a mother photographing her daughter’s grave. Interestingly, the daughter was not a baby at the time of her passing and the mother says she does not recognize the ghost baby her camera captured playing on top of her daughter’s grave. Common belief is that the ghost belongs to a baby buried nearby. The so-called specter in this photograph is actually pretty intimidating. 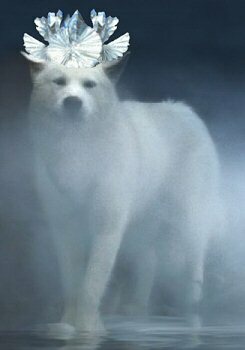 A hood covers its face. It is dark and appears to be quite large. While the picture is not proven a hoax, it does raise an interesting question. You will notice that the dinner party in this picture is rather full. Why is there an empty place for the specter to stand if no one invited him? In 1919, a photograph was taken of a squadron of R.A.F. pilots. Behind one of the men, a face appears to the right, not wearing the uniform cap, strangely transparent and awfully close to the man he stands behind. 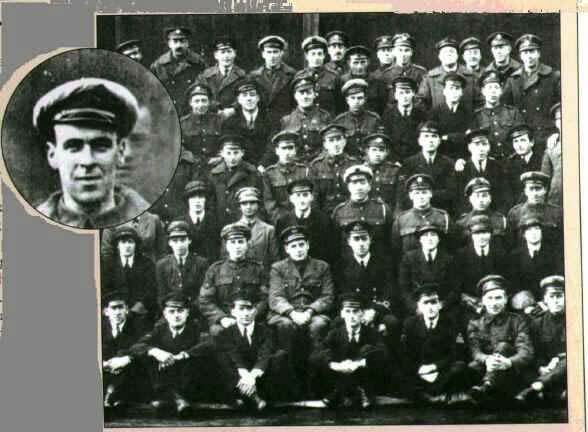 The squadron identified the strange face as that of Freddy Jackson, who had died two days before the picture was taken. 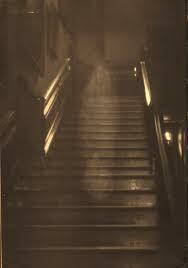 The 1936 Brown Lady of Raynham Hall photo is perhaps the most famous ghost picture in history. 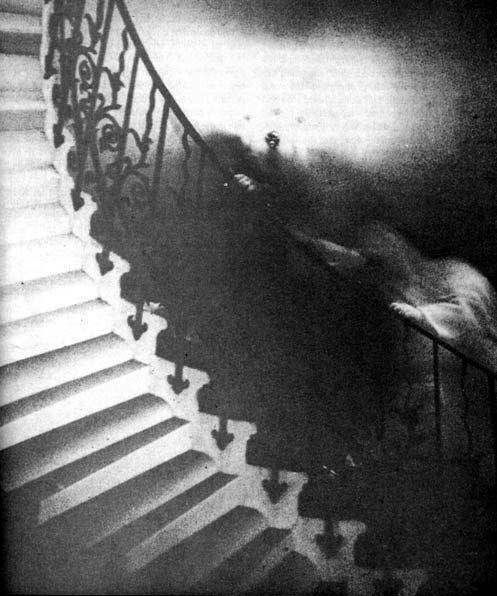 The story is that the ghost in this picture, taken on a staircase in the hall, is that of Lady Raynham, who was allegedly imprisoned in the hall by her husband for a large portion of her adult life. Stories of sightings are plentiful, but this picture is the centerpiece of the story. 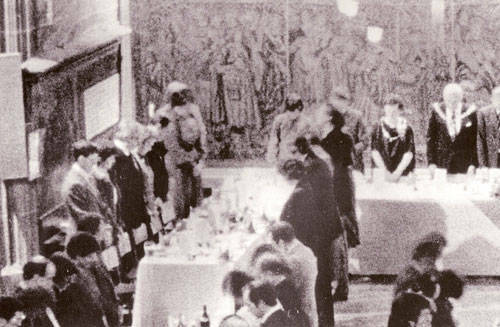 The Tulip Staircase Ghost photograph was taken in 1966 at the Greenwich National Maritime Museum in 1966 by Reverend Ralph Hardy. It appears to capture a person struggling to get up the stairs with both hands pulling the railing. The positioning of the hands is very strange. They appear to be two left hands and the top one is quite long. What this means is anyone’s guess. Lord Combermere, once governor of Barbados and curious party in the case of the Chase Vault mystery, appears to have been photographed relaxing in a chair after his death. The photograph, taken by Sybell Corbet, was taken in the library of Combermere Abbey in 1891. 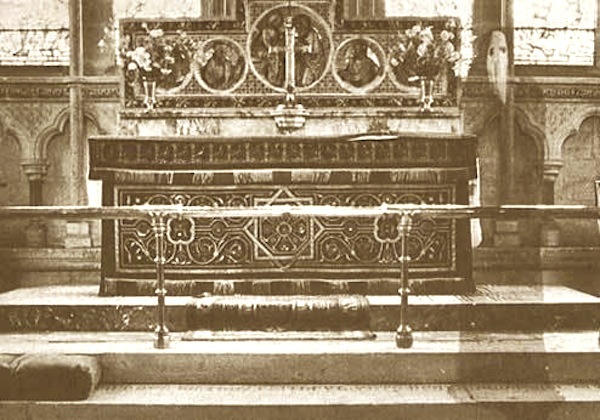 This photograph taken in Newby Church by Reverend Lord at Newby Church in North Yorkshire England is number one not because it is the most authentic-seeming, as many refute its authenticity, but because it is by far the eeriest. The specter looks like a ghost of the murderer from the Scream films. To add to the scary factor, the photo has allegedly been analyzed and it was found that the subject would have measured 9 feet tall.